Favourite: Nikita Kucherov. The return of Steven Stamkos and slowing down towards the end of the regular season will likely to cost "Kooch" the Hart but not the Lindsay. Awarded to the year's best NHL player by his peers, Kucherov finished third with 100 points and 31 of his 39 goals came at even strength. He's been the best player for the East's top team and will be recognized for it. Dark Horse: Connor McDavid. He just became the first player in 15 years to win back-to-back Art Ross trophies and he did it on the lottery-bound Oilers. He scored a career-high 41 goals, 35 of which were at even strength (league leader). This award never goes to players from losing teams but McDavid is the exception. Favourite: Gerrard Gallant. 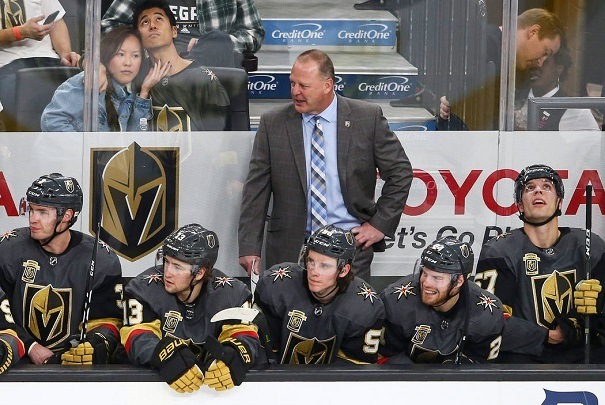 It's the perfect script for a future Disney movie as Gallant, a castaway coach, took a group of castaway players and led them to the fifth-best record in the NHL. The Golden Knights destroyed all kinds of NHL records and became the winningest expansion team with 51 wins and second-most home victories with 29. Gallant is a lock to win this award. Dark Horse: Paul Maurice. While he has little chance to beat Gallant, Paul Mo deserves recognition for how he's managed turned Winnipeg around despite injuries. Once on the chopping block, Maurice has patiently guided the team to their greatest season with franchise records in almost every major category. Favourite: Matthew Barzal. In what was a fruitful year for rookies, Barzal stood out from the crowd with 85 points, 20 ahead of second-place, Clayton Keller. Barzal became the first rookie in a hundred years to register three five-point games including helping the Islanders edge the Red Wings in an epic 7-6 overtime win. Like the Adams, this is an easy award to pick. Dark Horse: Brock Boeser. Before injuries derailed him, Vancouver's Brock Boeser was neck and neck with Barzal in the Calder race. The American finished second among rookies with 29 goals in just 62 games and was a force on the power play. He's unlikely to win the award but it will be a shock if he isn't a finalist. Favourite: Victor Hedman. In another category loaded with deserving candidates, the Lightning's Victor Hedman could just edge the competition. Hedman finished tied for first among defencemen with 17 goals and is second in +/- at +32. More impressively, 15 of his 17 goals came at even strength. 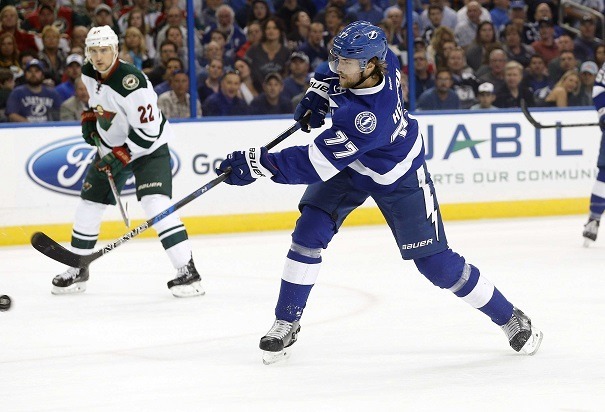 As a consistent force on the blueline, Hedman will finally win his first Norris. Dark Horse: P.K. Subban. Lost among all the flashy new Norris candidates is Nashville's Subban. The 28-year-old is having his best season since he won the norris in 2012-13 and is second among defencemen with 16 goals. As the leader of the league's best blueline corps, he has an outside shot at winning. 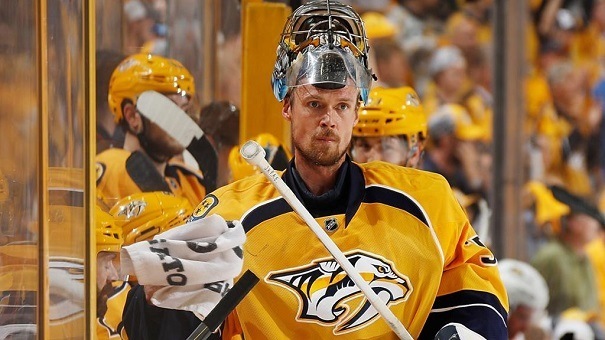 Favourite: Pekka Rinne. This is finally the year Rinne wins the elusive Vezina. A three-time finalist, Rinne is the best current active goalie to not have the trophy yet. Consistently a candidate, Rinne is having arguably his best season leading the league in shutouts (eight) and finishing second in wins (42). His 0.927 save percentage is his best since 2011 as Nashville has allowed the fewest goals. Dark Horse: Connor Hellebuyck. He has been a key piece to Winnipeg's rise to the top and his 44 wins lead the league while his six shutouts are second. Fewer goalies have meant more for their team than Hellebuyck is for the Jets. He may not beat Rinne for the award but he should at least be a finalist. Favourite: Nathan Mackinnon. This year's MVP race is so tight but the feel-good story for the Avalanche could seal it for the Canadian. Mackinnon led the Avalanche to their first playoffs since 2014 and doubled their point totals from last season. Mackinnon scored 97 points in just 74 games and is second in points per game. He's a slight favourite to win the prestigious award. Dark Horse: Taylor Hall. The Eastern counterpart to the Avalanche are Hall's Devils. Like Mackinnon, Hall powered New Jersey back to the playoffs, their first appearance in six seasons. But unlike Mackinnon, Hall did it almost single-handedly. His 93 points are 41 points ahead of Nico Hischier, the greatest disparity in the NHL between the team's top scorers. Hall should be a finalist and is a deserving winner as well. The awards are announced after the Stanley Cup Playoffs, which airs on Sportsnet and CBC for Canadian viewers. Also serving Canadians are these top online sportsbooks offering the best lines. The reviews provide more information on each book.